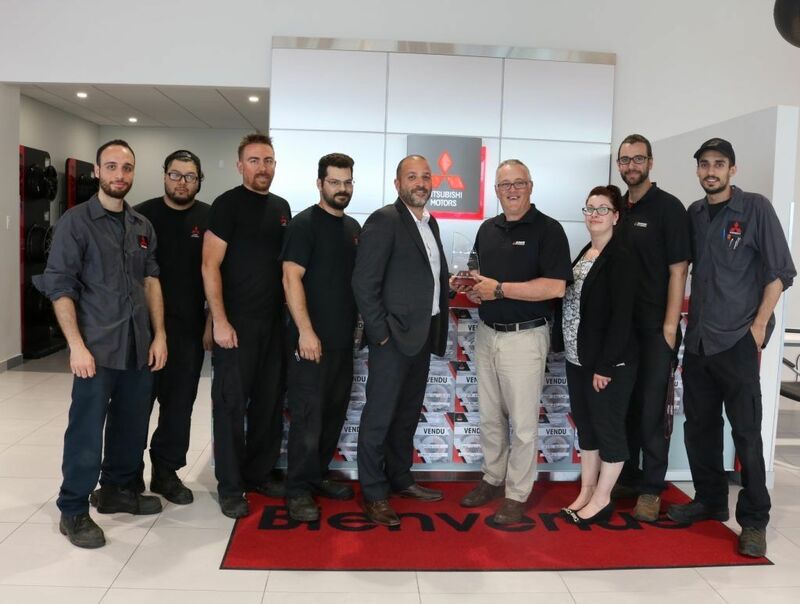 HGregoire Mitsubishi Laval was awarded the Triple Diamond Cup – Quebec from Mitsubishi Canada for the quality of its after-sales service in its category. On this picture: Joe Hayem, General Manager of HGregoire Mitsubishi Laval, along with his service team. The goal of this program, according to Mitsubishi Canada, is to recognize and reward the excellent performance of parts and service personnel. The winner of the Cup is selected by the President of Mitsubishi himself, according to the overall performance of the dealer. This is a success to celebrate for HGregoire Mitsubishi Laval who is already winning the award in its first year of opening.